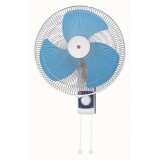 FEATURES 16" 3-speed and ON/OFF by pull switch Oscillation control Metal blade Colours: Blue and Grey .. 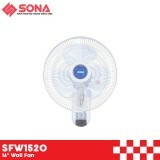 FEATURES 12" 3-speed and ON/OFF by pull switch Oscillation control Opaque plastic Colours: Blue or Grey ..
3-speed and ON/OFF by wireless remote control switch 16-inch diameter Oscillation control Transparent plastic blade Air filter with Super Alleru-buster, Green Tea Catchin and Anti-bacteria Enzyme function Colours: Grey or Black .. In conjunction with Mistral's 50th Anniversary, Mistral will be launching a new line, 'Back to Basics'. 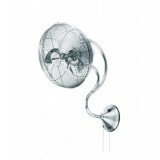 This new range, will be ever expanding synonymously with the theme, 'Be Basic, Be Classic'. 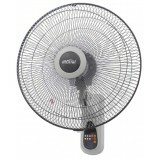 Periodically, Mistral will be launching fans that are minimalist, functional in d.. 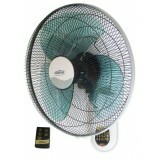 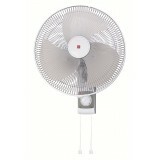 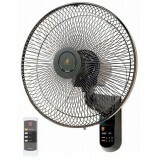 FEATURES 16” Remote wall fan 3 speed selection: normal,sleep & breeze function 8 hours timer .. 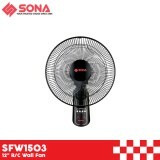 FEATURES 18” Remote Wall Fan 6 hours timer 3 speed selection Built-in safety thermal fuse Full remote control High quality fan blade ..
Sona SFW1520 16" Wall Fan 230Vac 50 Hz 5 Years Warranty On Motor 3 Speed Oscillation 2 Pull String Auto motor protection 50 Watt 20 mm Motor Strong Wind ..
Sona SFW 1528 16" Wall Fan With Remote 220-240V~ 50Hz 60Watt 2 Years Warranty On Motor Remote control Thermal fuse 100% Copper Motor 7.5 Hours Timer 3 speed, 3 Modes Rhythmic Wide Angle Oscillation 2 Ways Installation ..
Sona SFW1501 12" Wall Fan 220-240V~ 50Hz 40Watt 2 Years Warranty On Motor 3 speed choices L/R Oscillation Two-way installation Free neck up down adjustment Break-resistant & transparent ABS fan blade ..
Sona SFW1503 12" R/C Wall Fan 220-240V~40W 2 Years Warranty On Motor 7.5 hours timer Natural, sleep, Normal mode available 3 speed choices L/R Oscillation Two-way installation Up down adjustment Break-resistant ABS fan blade ..